“I would like to thank Bob Hallsky of Pepco and Tavares Owens of R.B. 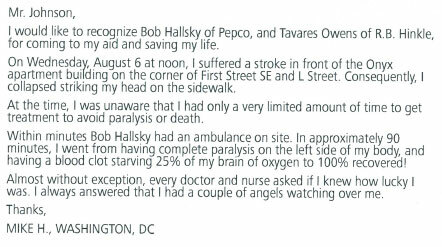 Hinkle for coming to my aid and saving my life,” Mike H., Washington, DC. Pepco and R.B. Hinkle construction crews were working together on a large underground project in Southeast DC near The Washington National’s Park in early August when Bob and Tavares noticed a man fall onto the sidewalk about a block away. The two men took off running to offer aid as he had fallen down in an unusual way, striking his head. They could tell by his body position that something was very wrong, they immediately called 911. 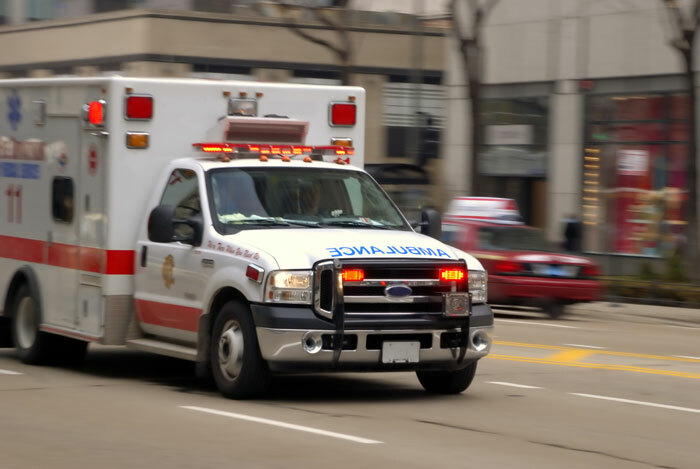 Within minutes the ambulance arrived, relieving the men to return to work. “R.B. Hinkle takes pride in its safety program and it is heartwarming to see the effects of this training spread to the community at large. Due to their vigilance, Bob and Tavares saved this man’s life by acting quickly to take control of the situation.” Dina Holstead, President.